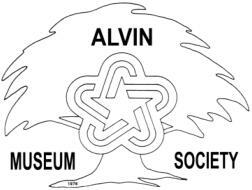 "Another Evening with the Stars"
The Alvin Museum Society is planning "Another Evening with the Stars" for November 13, 2004, at 7:00 p.m. at St. John the Baptist Church Parish Hall. This seated dinner and musical review will feature prominent local citizens. Tickets are available at Bill Nelson's Edward Jones office at 1601 S. Gordon, Alvin. For more information, call 281-388-0616.